Summer is just about over and it's almost time for the kids to head back to school. In fact, some kids have already started the new school year in recent weeks. 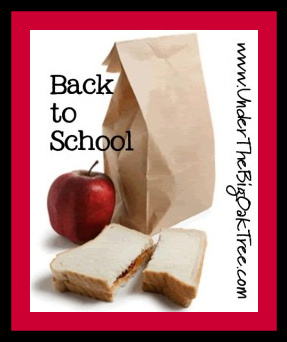 Lisa, from Extraordinary Life has been discussing back to school lunches for the past couple of weeks. She's been planning healthy, gluten free lunches for her kids as well as comparing a series of lunch box systems trying to find what lunch box works the best for her kids. She started her Lunch Box Experiment Series with the new Ziploc 3 compartment containers and insolated lunch totes that she purchased separately. You can read Part 1 of her series HERE. Next came Part 2 of the Lunch Box Experiment, where she discusses what she's planning on putting INTO the actual lunch boxes. Check out Lisa's extensive list of lunch options. While Lisa's children require special diets, her ideas can be easily adapted to fit your non-gluten-free needs. Lisa is currently at Part 3 of the Lunch Box Experiment. Part 3 consists of a product review and giveaway! How fun! If you are in need of a lunch box for your kids, or even for yourself, I really suggest you take a look at her product review of Easy Lunch Boxes. Lisa has included her honest opinions of the Easy Lunch Box system as well as videos of her kids putting the containers to the test! Plus, on Tuesday August 31, she will be giving away an Easy Lunch Box system to one lucky reader! Click here to find out how to enter. Or you can click the Lunch Box Experiment banner at the top of my page. I think Lisa will have a lot more to say about lunch boxes and what goes in them, so be sure to check out her blog....and really, don't forget to enter that giveaway! You can't win if you don't enter!